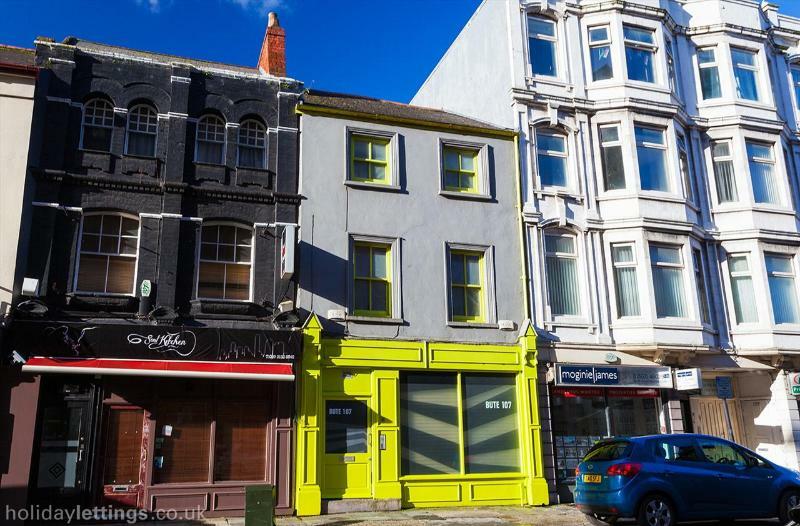 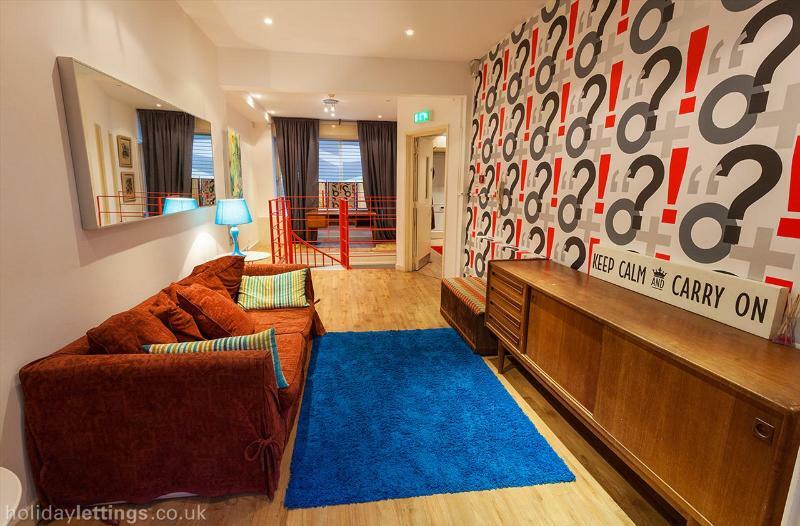 "107 Bute Street, Cardiff, United Kingdom"
Perfect for large groups of friends, family celebrations, hens and stag do’s. 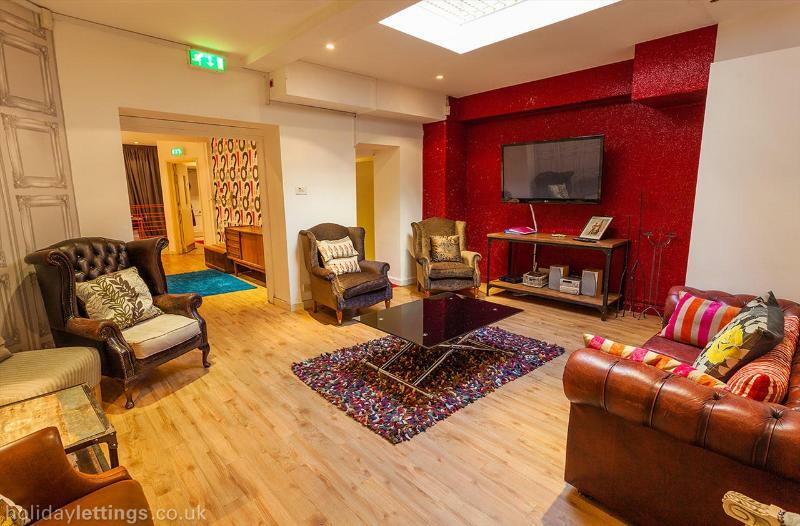 Bute 107 sleeps up to 22 sharing and is designed in a unique style with a boutique theme. 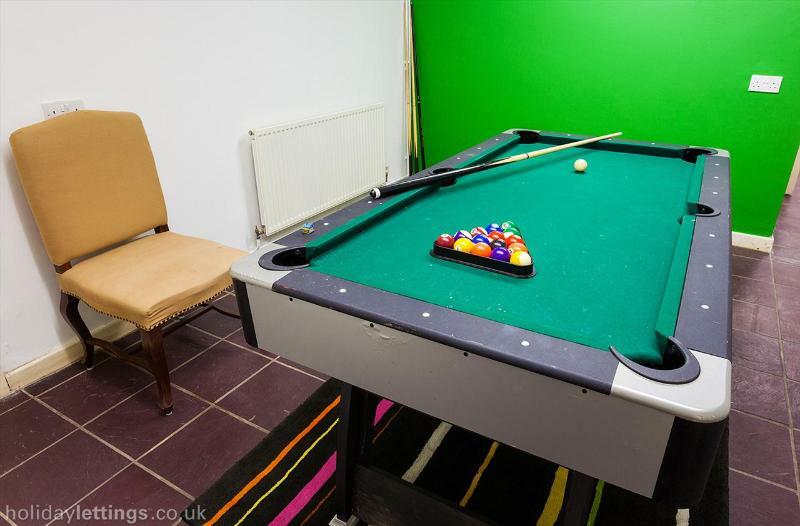 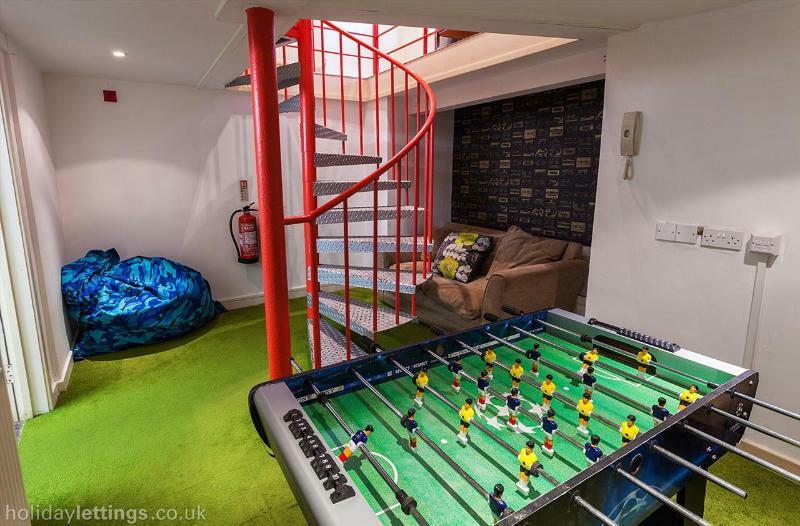 It has stylish interiors and an impressive 50″ LCD TV with Sky sports and movies and free wifi throughout. 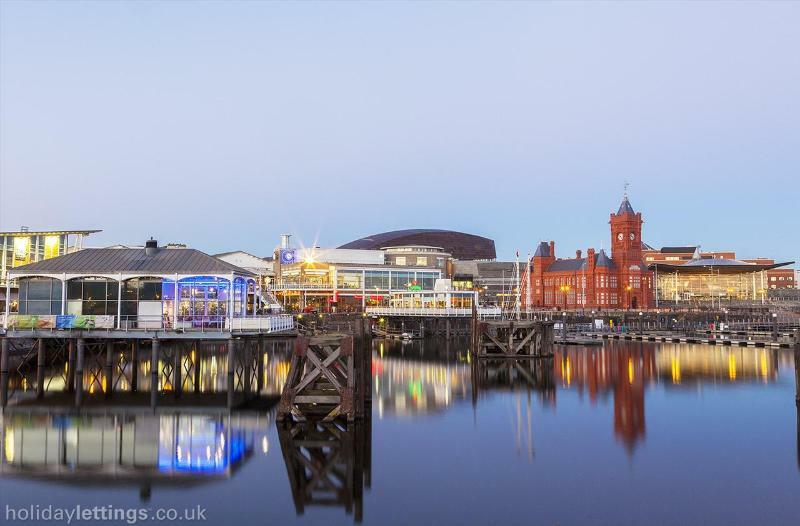 Set in the heart of Cardiff Bay, it has numerous restaurants, bars, cafes and shops on its doorstep, not to mention the Millennium Centre, cinema, casino and much more. 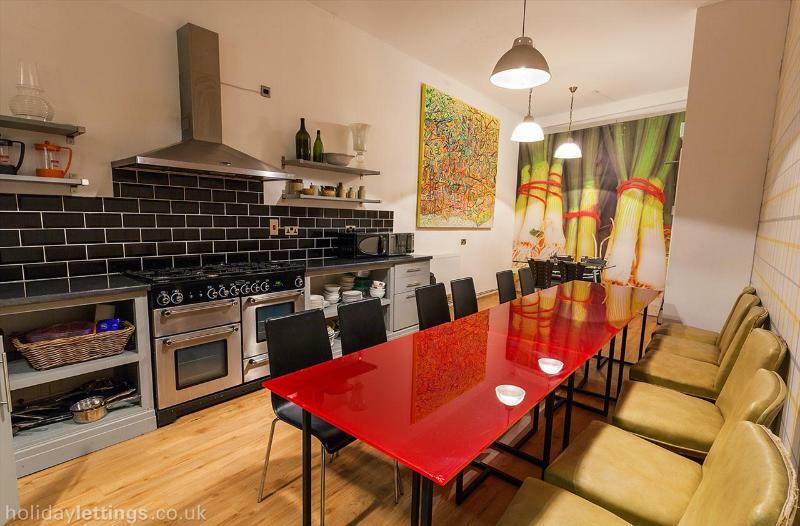 The City Centre including the Principality Stadium, popular bars, restaurants, shops and clubs also within easy reach. 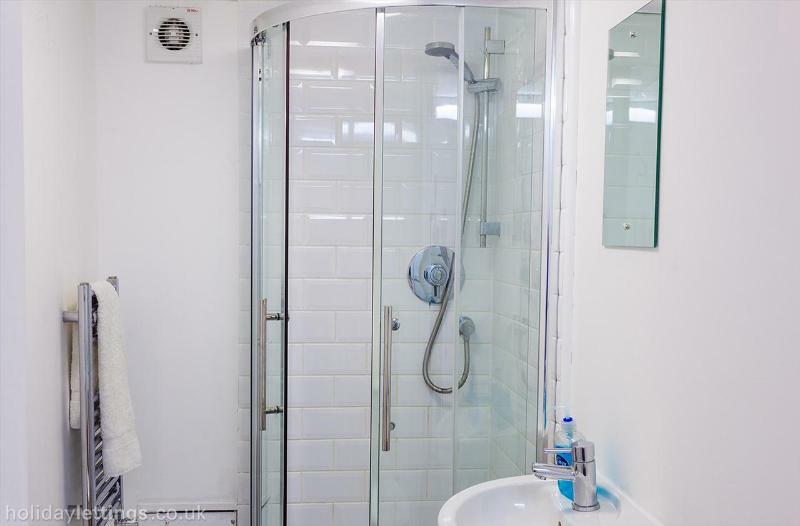 Shower room with toilet and another separate toilet and laundry room. 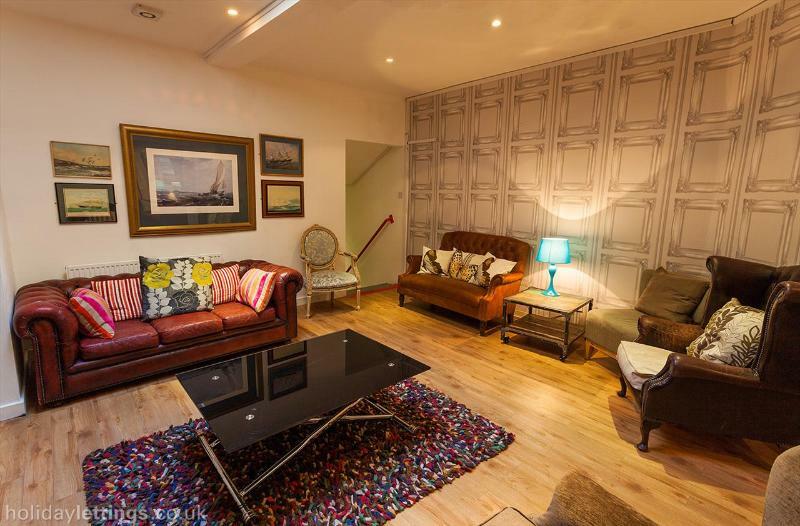 Large lounge area with 3 comfy sofas and armchairs. 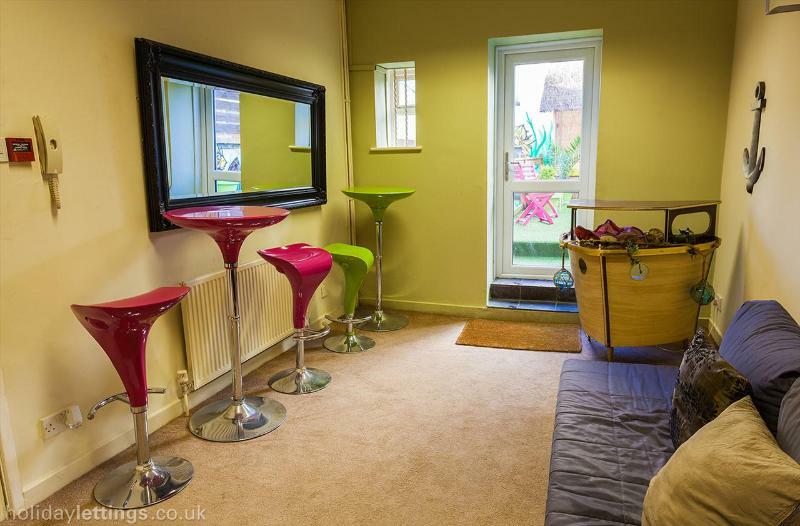 50″ TV including Sky sports, movies and a DVD player. 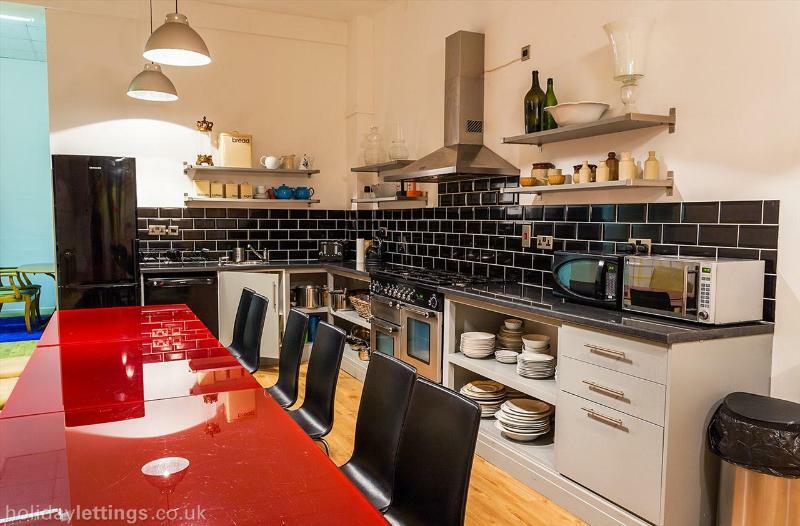 Large kitchen and dining area with a large table group. 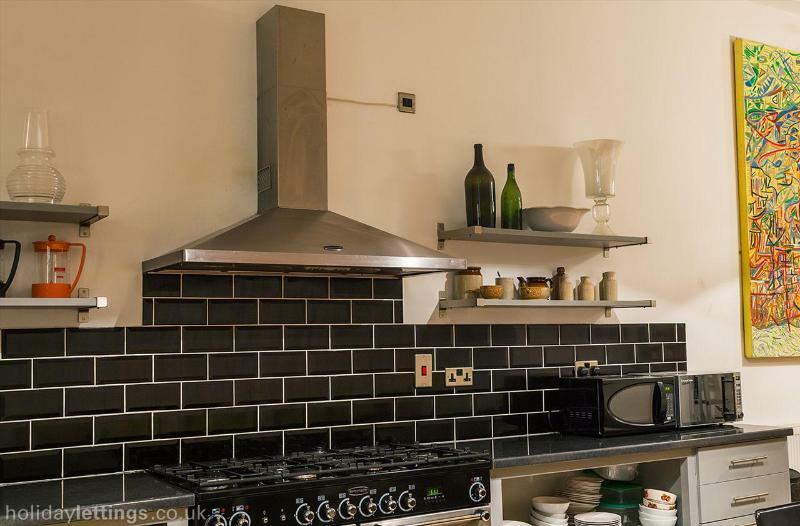 The kitchen is fully equipped with a large gas range cooker, dishwasher and fridge freezer. 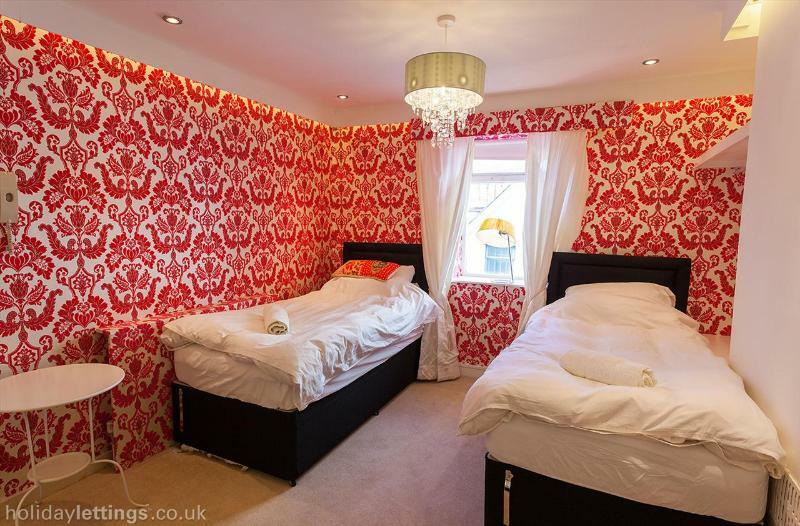 Third large bedroom with 5 single beds. 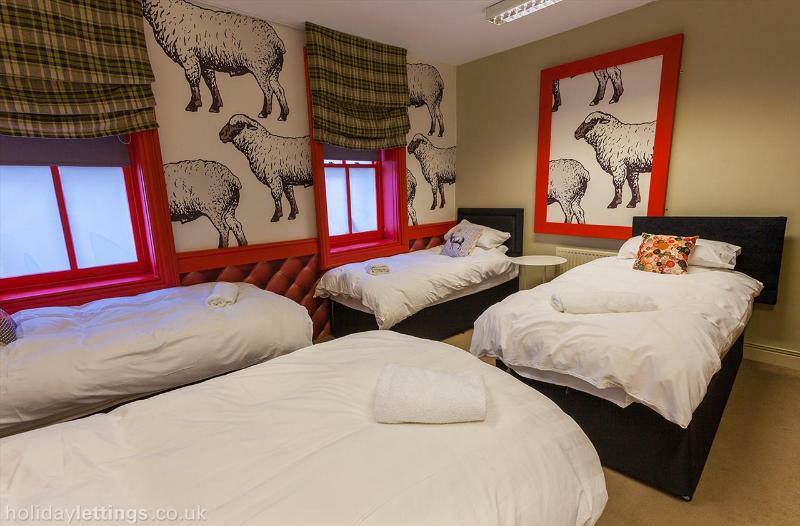 Bedroom 4 offers 6 single beds & 1 triple bunk. 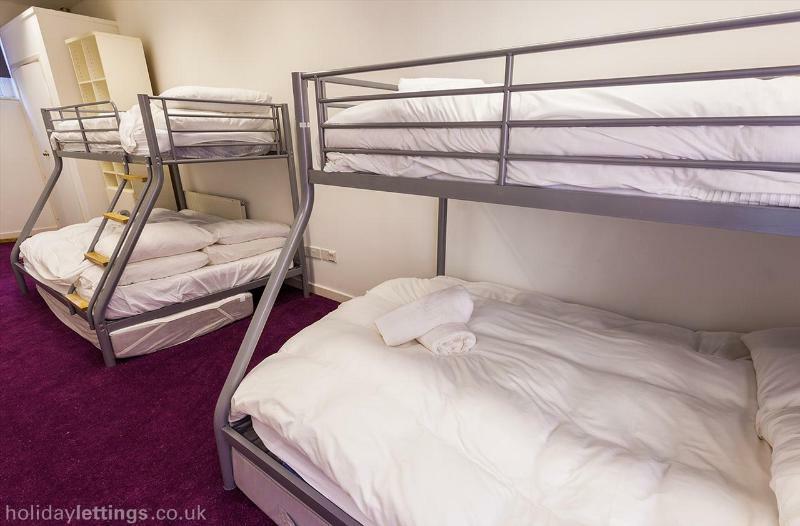 *Please note that all single beds can be linked together as large double beds on request. 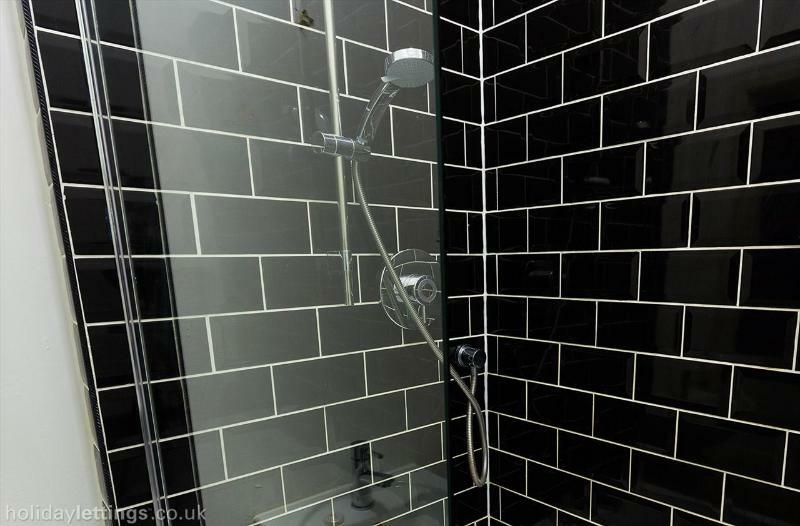 While no specific parking is provided there is pay and display parking on the street outside and a large multi storey car park within a 2 minute walk.